For the most part, Ducks fans were pleased with the way the 2015 NFL Draft played out. Other than Ifo Ekpre-Olomu dropping lower than expected, everything went well. Rookie minicamp recently started around the NFL, so lets take some time to catch up with the five Ducks taken in this year’s NFL draft. We all know the story regarding the reigning Heisman trophy winning Duck. He was battling it out with Jameis Winston for top honors in this year’s draft, but he fell to No.2. To be honest, the situation is perfect. We are still awaiting news on the specific terms of his rookie contract, but Jason Belzer of Forbes.com estimates it to be in the ball park of 4 years, and $22 million including almost $14 million as a signing bonus. The franchise rookie QB seems to be fitting in nicely in Tennessee. With the drafting of big wide receiver Dorial Green-Beckham, the Titans have laid it all out for Mariota. He has been handed the keys to the car, and all he needs to do now is accelerate. And if Ducks fans have learned anything about Super Mariota, he knows how to accelerate. The 49ers got the guy they wanted. They had planned on drafting Armstead with the 15th pick in the draft, but were able to trade it to the San Diego Chargers in exchange for later round picks. And they still ended up with Armstead at No. 17. 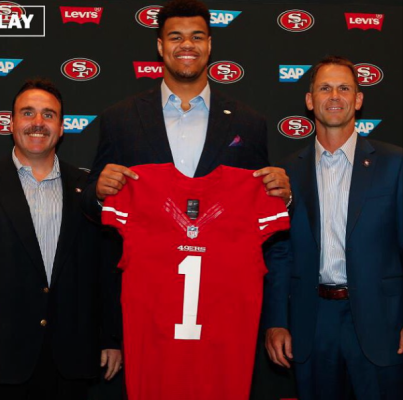 Of the 10 San Francisco draft picks, Armstead was the last to sign. A four-year deal between the team and the massive defensive end has been agreed on, but specific numbers have yet to be released. Based on a rookie wage scale, it’s safe to assume that the deal will max out around $10 million. 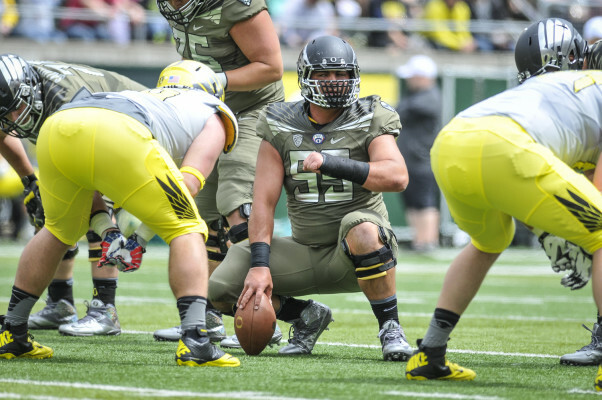 Mariota’s blind side was drafted a little bit later than Oregon hopefuls would have expected. Either way, Fisher was selected, and he will fit in nicely in Cincinnati. He’ll need to put on weight if he expects to play tackle in the league, so guard might be a more immediate option. According to overthecap.com, Fisher can expect to make close to $4 million over the course of four years if he plays to the finish of his rookie deal in 2018. Fisher has the intangibles to be a great player in the league. Tackle is a very lucrative position in the NFL, and if Fisher finds himself succeeding there in the next few years, he’ll see some major growth in the size of his pocketbook. The windy city is lucky to have you. Mr. Reliable has landed in Chicago, and his time to play could be very soon. The former Ducks offensive line stalwart is expected to compete with Will Montgomery for the starting center position come Week 1. According to Jeff Dickerson of ESPN.com, the Bears agreed to a four-year deal with Grasu that will earn him a minimum of $583,071. If Grasu does end up with the starting center role early in the season, or anytime in the near future, expect to see him ink an eventual multi-million dollar deal in the coming years. Yes, a consensus 1st-team all-American and Bendarik Award semifinalist was drafted in the7th round. Though the ACL injury cost him a ton of money in the draft, Ekpre-Olomu still stands to make $3 million off an insurance policy that the University of Oregon bought him. Thanks Rob Mullens. Ekpre-Olomu is the dark horse of the entire draft. If his knee heals up correctly, he will be an immediate impact player for the Browns. He’ll make a league minimum of $435,000 if he makes the roster this year, but expect a Nnamdi Asomugha deal in his future, because he is that kind of player. Stay tuned to FishDuck.com for the latest news on the 2015 drafted Ducks.